Click here to book a tee time on the Woods, Prairie or Lake courses. Click here to sign up for discounts and specials. Click here to view information about events and outings. 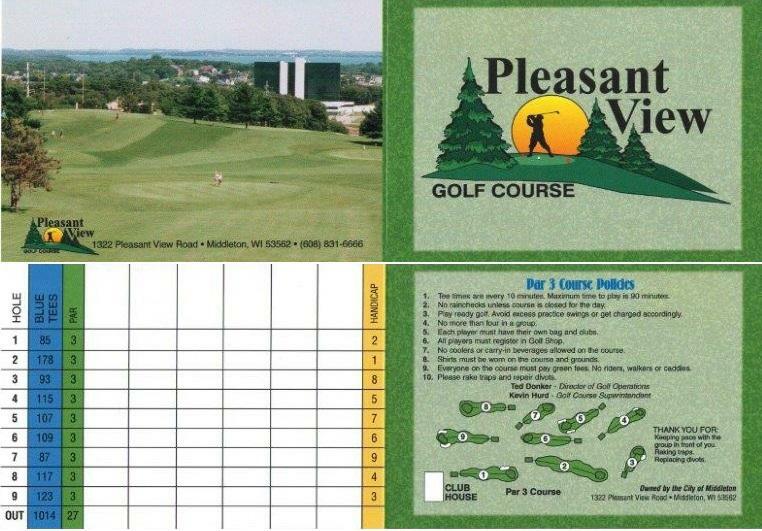 Situated on hills approximately 300 feet above Lake Mendota, Pleasant View Golf Course provides a panoramic view of the City of Madison, WI. We are owned and operated by the City of Middleton and take pride in providing a great value, so come see what the View's all about! 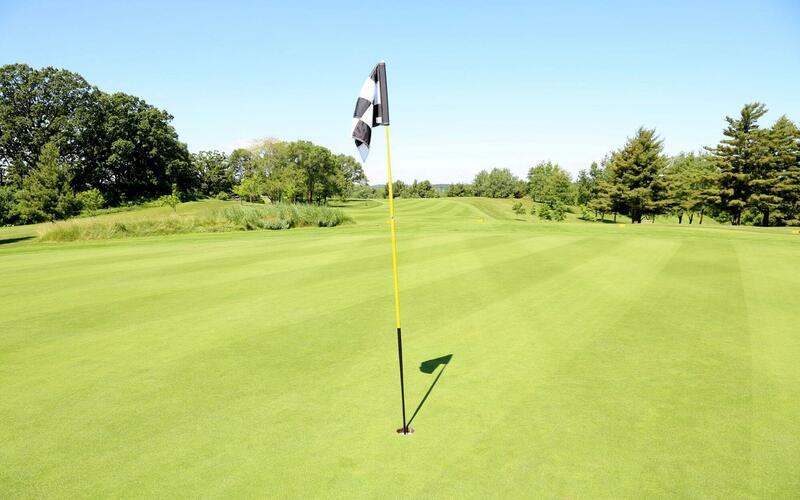 Pleasant View Golf Course offers 27 holes of well-maintained, championship golf, a 9 hole scenic par 3 course, and an outstanding practice range. The course was awarded the Gold in Madison Magazine’s Best of Golf Courses for 2018 and 2019 which came from readers and fans voting on their favorite and we thank you. In addition, Pleasant View has a newly remodeled patio with two fire pits so you can enjoy your favorite food and beverage while overlooking one of the most scenic views in the area. We offer sandwiches, burgers, and beverages while you kick back and take in the panoramic sights of Lake Mendota and the city of Madison. Our grill is open (when the course is) for breakfast, lunch and dinner or simply visit us for some drinks in the evening. We are open to the public and welcome tee time reservations two weeks in advance. The par 3 course does not require a reservation so come on out...it's a perfect getaway for 45 minutes! It’s a great place to brush up on your irons or enjoy some quality time with your family. We look forward to having you as our guest!!! Call 608-831-6666 for daily status.